We’re between events in the UK. It started last Friday with the UK launch of A DEATH IN THE FAMILY, hard on the heels of DEADLY HARVEST, which came out in May. 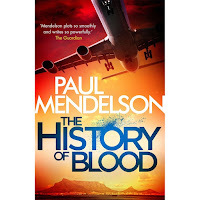 Then on Tuesday evening we had a great session with Paul Mendelson, who sets his crime fiction in Cape Town, at Waterstones, Piccadilly, discussing South Africa and Sunshine Noir. We followed the event with a scrumptious Chinese dinner where Paul chose a spectacular spread. Yesterday evening we had fun at Heffers in Cambridge, meeting a delightful group at their crime book club. Richard Reynolds hosted the evening and had interesting stories of his own to tell also. Now on to the Theakston’s Old Peculier Crime Writing Festival in Harrogate for a panel on Murder Out of Africa with Deon Meyer, Paul Mendelson and Leye Adenle. In post-apartheid South Africa, Deon Meyer has emerged as a major talent and his books have gained recognition and a serious following around the world. 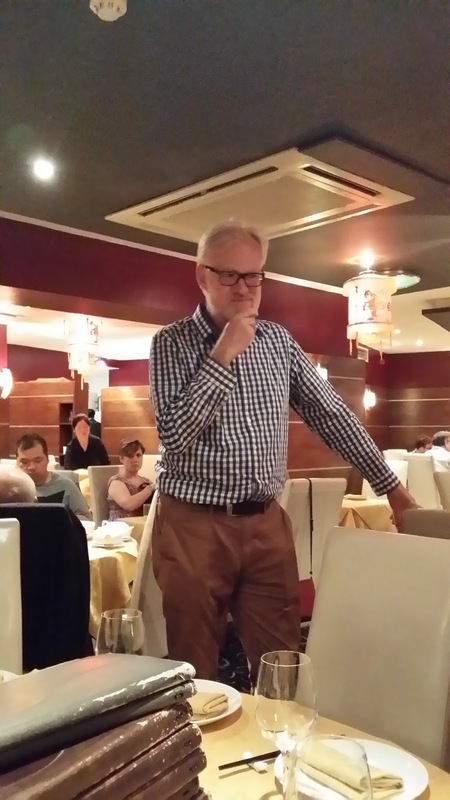 He's won a number of prizes and is currently short listed for the Crime Writers Association International Dagger for ICARUS, based on the shenanigans in the wine industry during sanctions days. So plenty of interest there. Deon is by no means alone. Mike Nicol, Jassy McKenzie, Paul Mendelson, Malla Nunn, Roger Smith, and many others delve into modern South Africa using crime fiction as a vehicle. Then there is South African author Lauren Beukes whose breakout thriller THE SHINING GIRLS combined the thriller and speculative fiction genres. 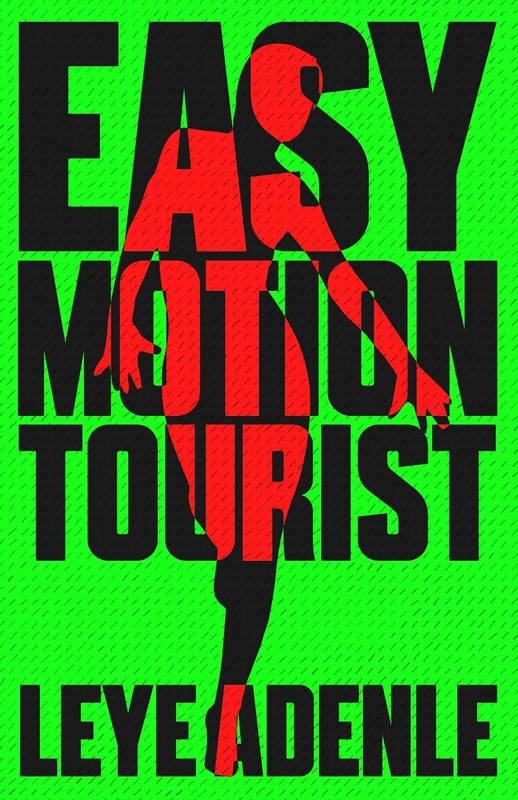 Elsewhere on the continent, Leye Adenle has a searing debut novel of Lagos, EASY MOTION TOURIST, Kwei Quartey’s Detective Darko Dawson tries to set Ghana to rights, Richard Crompton has a Masai detective trapped in the modern day problems of Kenya, while Annamaria Alfieri looks back into Kenya’s colonial history with her Justin Tolliver series. There are many more, and I’m sure there are a lot that I’m simply ignorant about. Murder is coming out of Africa, and the backstories are often intriguingly different from those of Europe and America. I mentioned Mike Nicol before and he deserves a lot of credit for putting South African crime fiction on the map. Not only does he have a number of powerful books to his name, but he set up a website, Crimebeat, in the early days that showcased the development of the genre in South Africa. 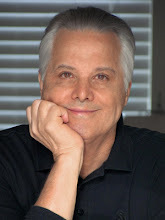 With the inauguration of the International Thriller Writers Association in 2005, he volunteered to write a monthly newsletter from South Africa, once again helping his fellow authors gain exposure. After five years, he needed a break and passed it on to me. With Joanne Hichens I tried to expand it from South Africa (look, it had to include at least Botswana, right?) and we changed the title to Africa Scene. Each piece introduces a new author or a new book, and features a synopsis, interview with the author, and a few pictures illustrating his or her African location. Last month, I discussed NOWHERE with Roger Smith. In the next few months I’m interviewing Annamaria about her second book in the Kenya series, THE IDOL OF MOMBASA, and Sally Andrews, whose debut, RECIPES FOR LOVE AND MURDER, leaves you drooling both for Tannie Maria's Karoo food and for more books. 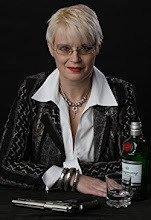 Next month Michele Rowe, who won the Crime Writers Association Debut Dagger for her debut, will be talking about the second book in her trilogy, THE HOUR OF DARKNESS. It has an intriguing premise. While we're doing our bit for the environment by turning off the lights for Earth Hour, that gives the perfect opportunity for criminals to act unseen. 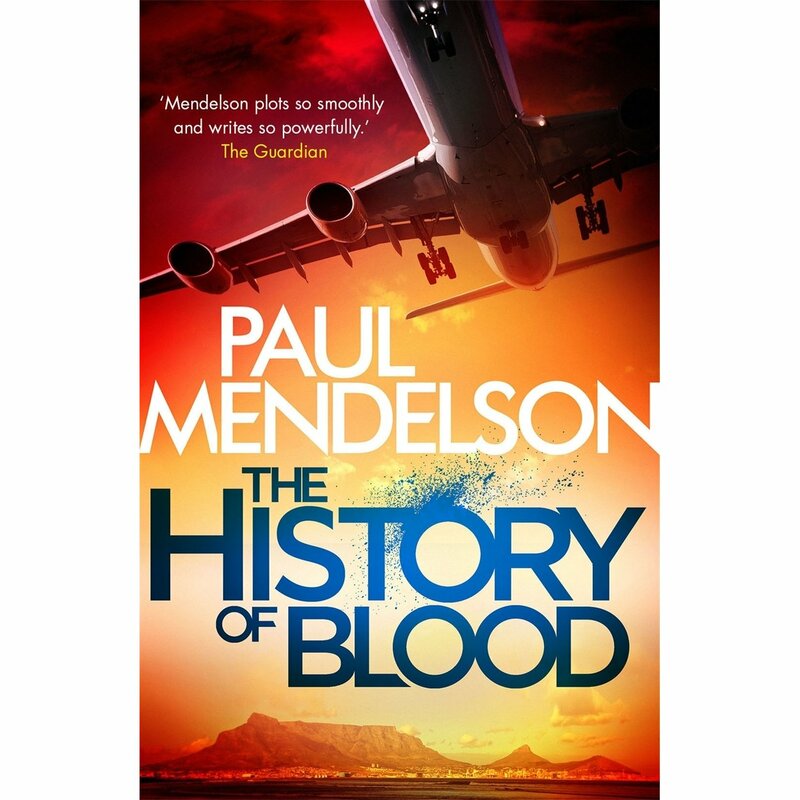 Then Paul Mendelson has agreed to discuss his new book THE HISTORY OF BLOOD. Africa Scene is one of the articles each month in ITW’s The Big Thrill e-magazine and you can sign up for it (and ITW for that matter) for free. I’ll also post the pieces on Facebook. And if you follow any of the links here to the authors mentioned, you'll see the pieces about them and their recent books. Any published authors interested in participating are invited to contact me. The only requirement is that you set a substantial part of your book in Africa. So, thinking about Caro’s piece last Friday, I’ve been asking myself why I undertook this and have stuck with it for almost five years. Well, I get the opportunity to discover and read a lot of authors who are new to me. ITW has quite a big circulation for The Big Thrill so I hope that it helps some new authors get exposure and broaden their readership outside Africa, and beyond that, I hope that it may attract a few readers to try out African mysteries. There are a lot of really good ones out there. And, yes, of course, I hope it raises the Michael Stanley profile a bit too. But most of all it’s fun! It never fails to amaze me, Michael, how you (and Stan) always manage to do so many things so well. Africa is blessed to have you. Thanks for your kind words, Jeff. I think we're blessed to have Africa. We'll keep nagging you two until you come and see for yourselves. 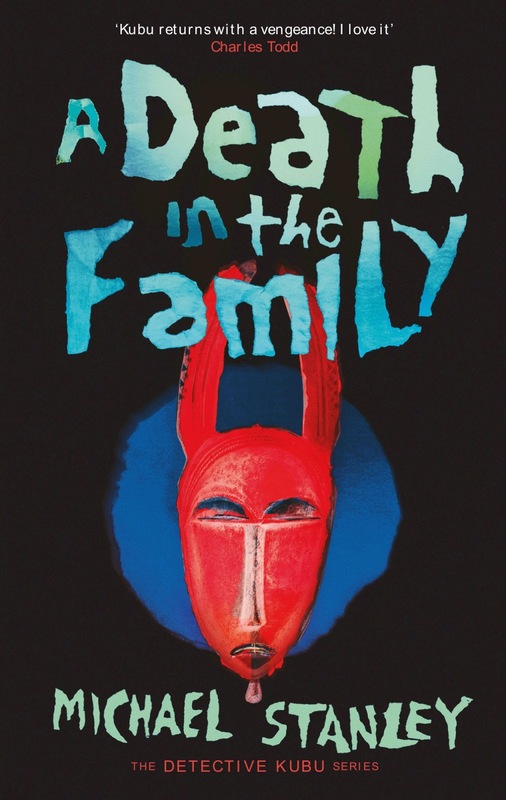 I'm reading Murder in the Family now and just loving it! Have fun in the UK! Huzzah for the launch and your and Stan's participation in the Harrogate Festival, Michael. '“Americans aren’t interested in Africa or South America.”' I may be the only crime novelist who has written about both places. And historicals into the bargain. What could I be thinking? But I have to go where my heart leads me. Africa is absolutely fascinating. We and all the wonderful writers you list here know that for sure. Thank you for your work trying to get the reading world to take notice. Hoping for pictures of your proceedings this week in this space soon. Ex Africa semper aliquid novi. Michael and Stan's "The Second Death of Goodluck Tinubu" is on sale on Amazon right now for 99 cents. Yesterday morning's email from Bookbub.com featured it. At 9:30am it was listed as #15687 in the Kindle store and #321 in Police Procedurals. By 1:00pm, it had advanced to #207 in Kindle and #8 in P.P. At 5:45pm, it was at #56 and #3. At 9:00pm last night, it was #27 OVERALL in the Kindle Store, and #1 in Police Procedurals! This morning, 6:30am, it's still at #27 overall, but has slipped back to #2 in P.P. Yay BookBubbers! Way to go!! Great! Thanks so much for bringing this to people's attention. We've discovered the secret for selling lots of books at last! I'm from South Africa and I loved the 'sunshine noir' description. Also a huge Deon Meyer fan! Thanks, Mareli! Deon is a great writer! We're greatly looking forward to our panel with him this afternoon at Harrogate.